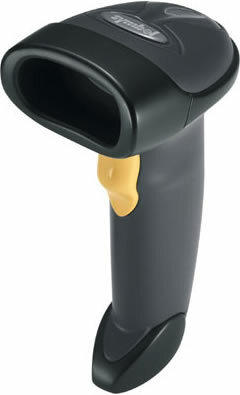 The affordable Symbol LS2208 handheld barcode scanner provides fast, reliable scanning in an ergonomic, lightweight form. The wide working range – from near-contact to 17 inches – makes this device ideal for retail, hospital, education or government settings. Multiple on-board interfaces ensure integration with a variety of host systems. The LS2208 is designed for continuous usage all day, which significantly reduces downtime and repair costs. It provides accurate, first-time scanning.